Located between the Gallatin River and Interstate I-90, Logan is a forgotten yet still historically significant railroad junction on the Northern Pacific Railroad. Established c.
1890 the place was first known as Canyon House, for early settlers, and then named Logan in honor of a family who owned land there. Logan became the place where Northern Pacific trains went one of two ways: crossing the river and heading to the recently established state capitol of Helena or staying south of the river and heading to the copper mines at Butte. In time the railroad company developed Logan as a mini-division point with a roundhouse, other railroad support buildings, and offices. Today none of that remains–the roundhouse burned during the depression and was not replaced–but the tracks still dominate all views of the town. promise that residents held for the town c. 1920. 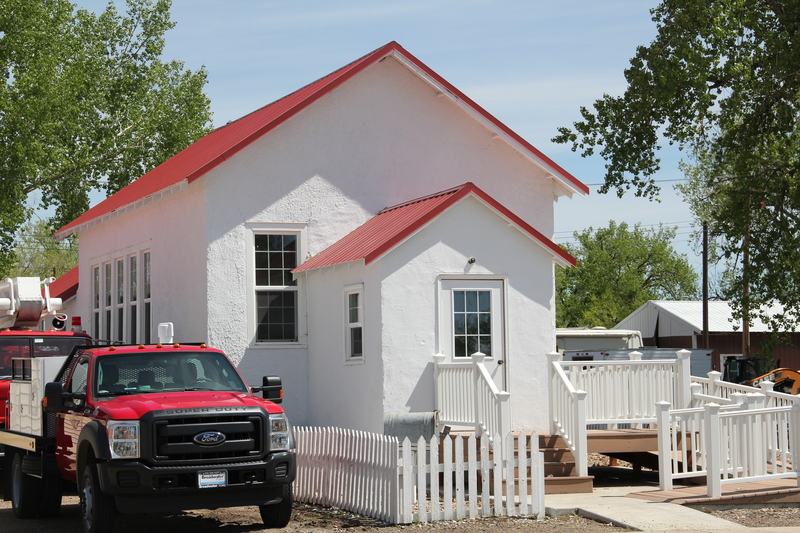 A historic church building also exists from the founding decades of Logan. It too is now closed and faces an uncertain future. As the various images of the railroad corridor indicates, Logan is still a busy place for train traffic but its population never rebounded after the depression decade. Train traffic during World War II boosted local fortunes a bit–and the town’s large depot served hundreds of customers a day into the late 1940s. But once the Northern Pacific switched to diesel, coal stops like Logan was no longer necessary. When I visited in 2015 I expected to find little to nothing but the tracks–or much more than I ever expected if the boom that had overwhelmed Belgrade and was consuming Manhattan had reached Logan. A bit of whimsy instead has come into Logan, along with one of the best bar/steakhouses in this region: the aptly named Land of Magic Dinner Club–the type of Montana oasis you cannot get enough of. 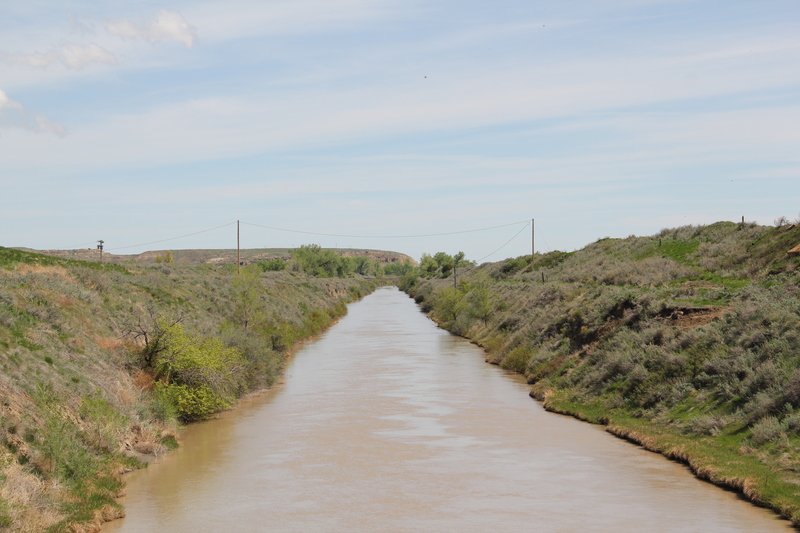 The initial success of the Lower Yellowstone Irrigation project, along with the homesteading boom of the early 1910s, led to the creation of Richland County in 1914. The new county, so named for the promise of the U.S. Reclamation Service project and the booster rhetoric of the era, used the existing town of Sidney as the county seat. Sidney was the largest town on the Northern Pacific’s spur that ran up the Lower Yellowstone Valley. 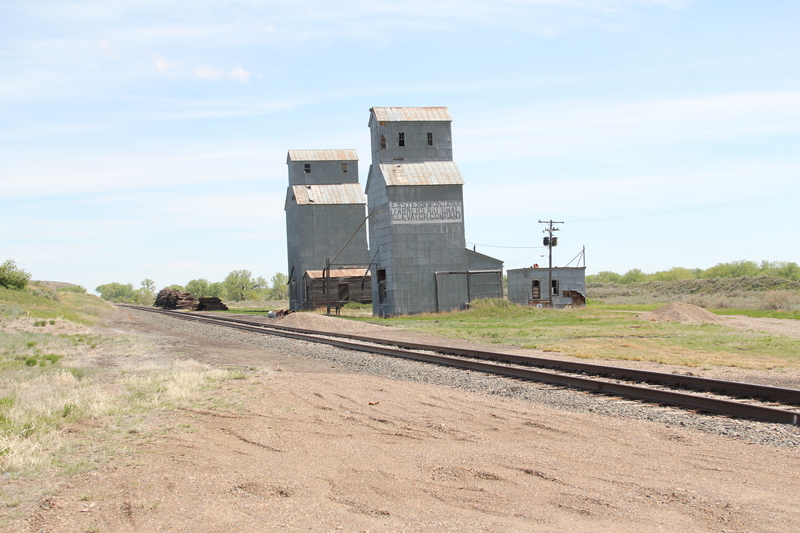 The historic grain elevators along the tracks testify to generations of agricultural products shipped from the town, although today the incessant freight traffic serving the booming oil fields of the nearby Williston Basin overwhelm the earlier agricultural focus. 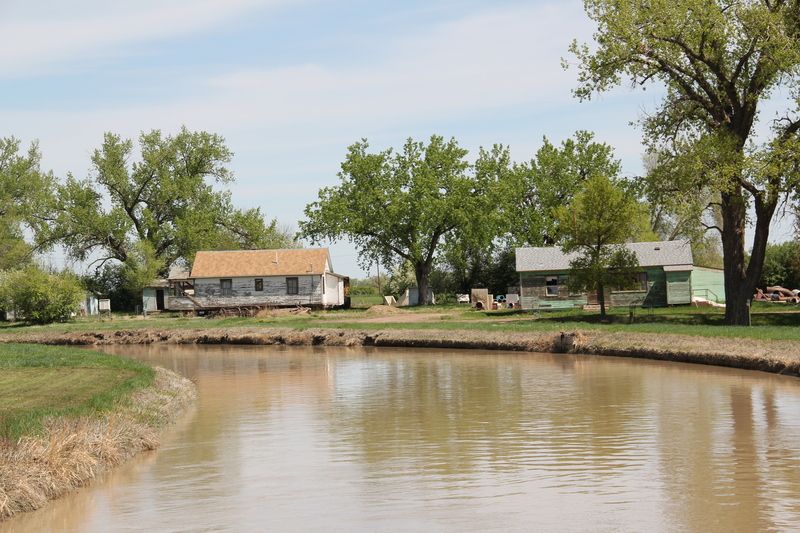 But the oil boom has not overwhelmed the city’s traditional agriculture-based economy, yet. The reason why is the persistence of two institutions that both received an economic shot-in-the-arm in 2002. First was the former Holly Sugar refinery that came to Sidney in the mid-1920s. Sidney Sugars Inc. took over the plant in 2002 and sugar beets by the thousands of tons are still processed here. 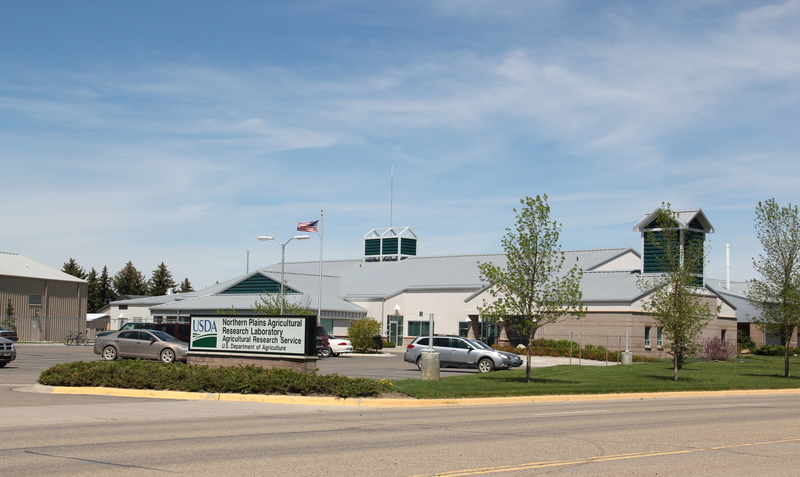 The second key institution that speaks to the primacy of agriculture in Richland County is the USDA’s Northern Plains Agricultural Research Laboratory, located just north of town. USDA established the center in the 1950s; the current complex dates to 2002, following a reorganization of its program two years earlier. One section of the unit stays focused on the center’s original program to support agriculture in the Lower Yellowstone project through research to enhance the productivity and profitability of dry land irrigated farming. The laboratory’s second focus studies how to better maintain weed and pest control through biological solutions rather than an over-reliance on chemicals. 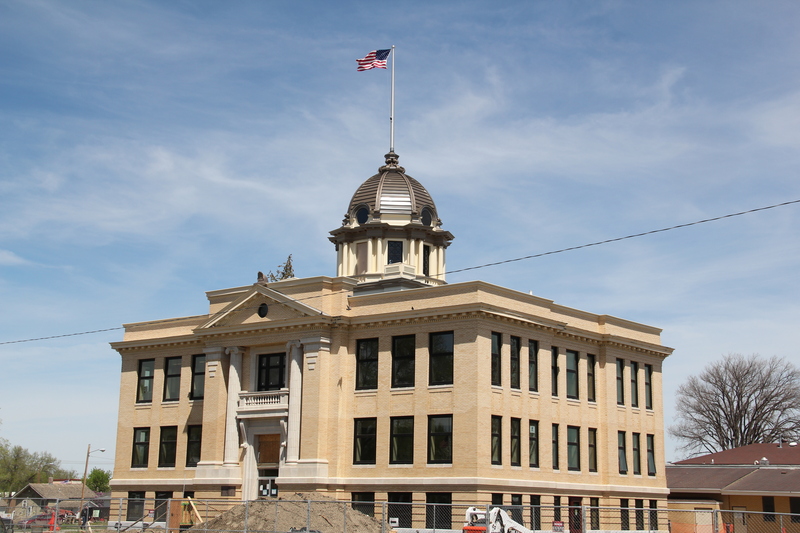 The Richland County Courthouse, which was undergoing a massive renovation when I visited a year ago, spoke to the hopes and dreams of Sidney in the early 20th century. This neoclassical monument stood above all buildings in the town–save for the grain elevators. 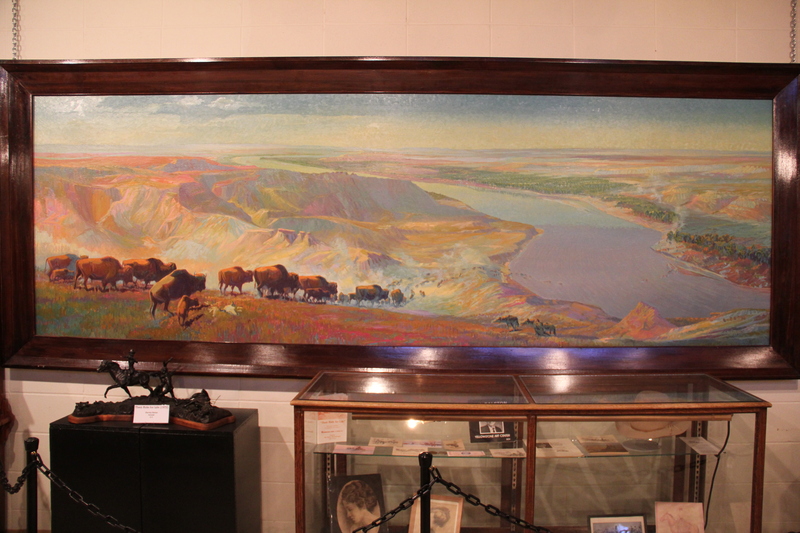 Another important building was the post office, a New Deal era project of Colonial Revival design that featured one of the handful of Montana post office murals, a depiction of the Yellowstone River landscape before the railroads and irrigation project by J. K. Ralston. This building since 1984 had been converted into county offices. 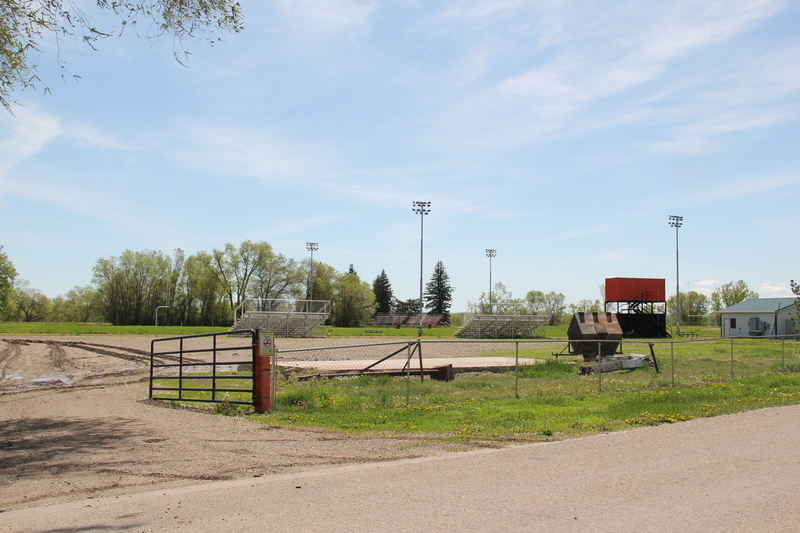 The 1930s also added two new buildings that have served the town’s youth ever since. 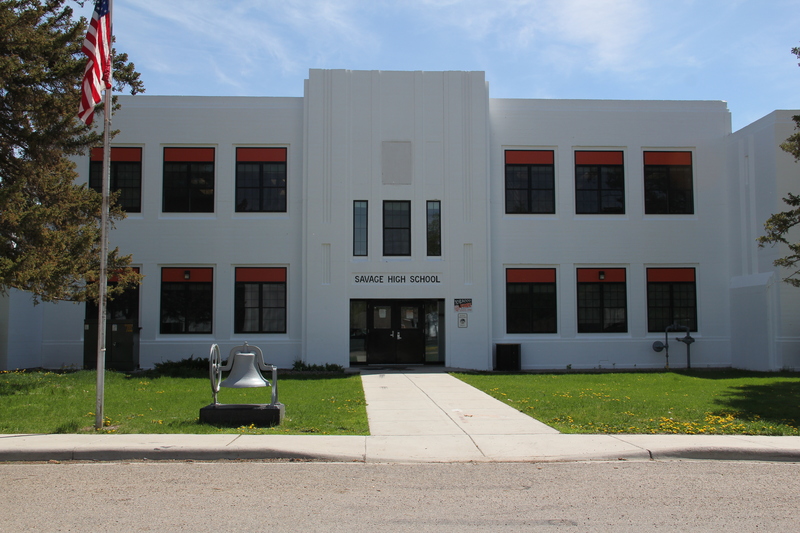 Most prominent was the Sidney High School, now middle school, completed in the mid-1930s. 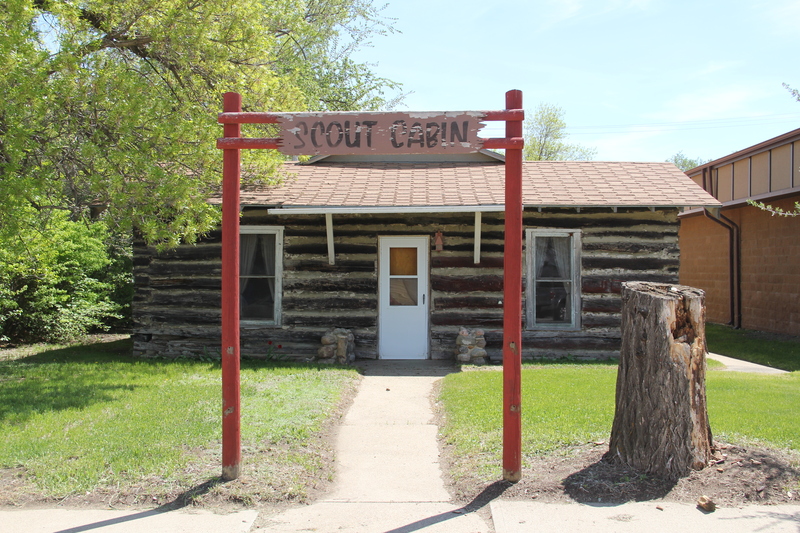 A second was the log-construction Boy Scout Lodge, finished in 1932. 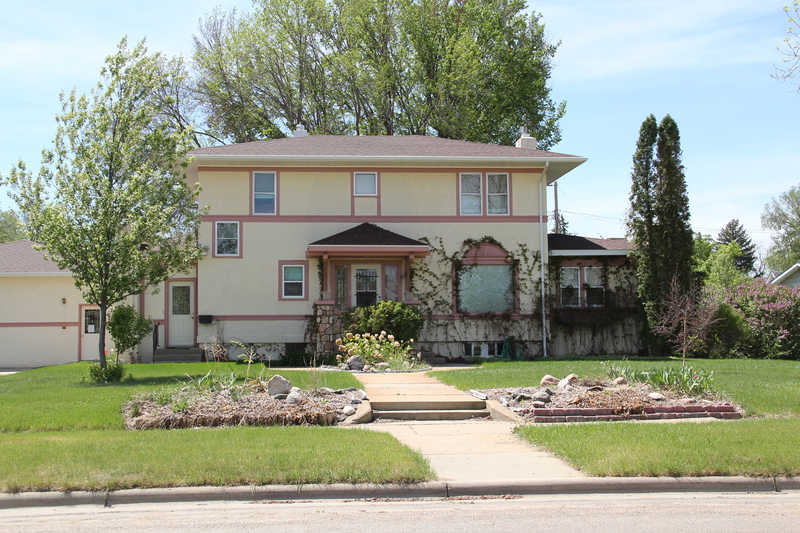 The town also retains several examples of 1920s domestic architecture, speaking to the impact of the sugar beet industry on its fortunes. 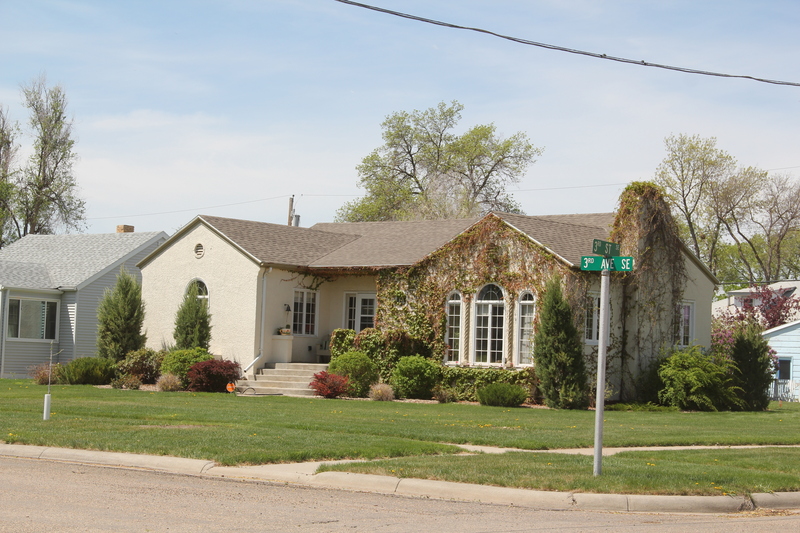 Despite the on-going oil boom, these historic homes confer a bit of stability to a rapidly expanding area. When I visited in 1984 the town proudly hosted a lecture about the state preservation plan at its brand new MonDak Heritage Center. 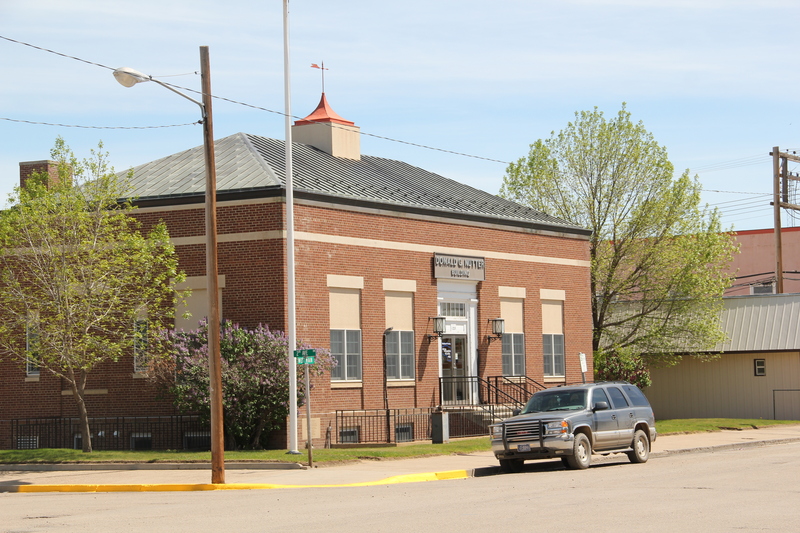 The museum’s creators and leaders spoke with pride about how their history nor town would not disappear–the center was among the most impressive Eastern Montana history institutions of the time. Little had changed over the past 30 years when I visited in 2013. The center had an over-flowing library and archives. Its art exhibits still celebrated J. K. Ralston. 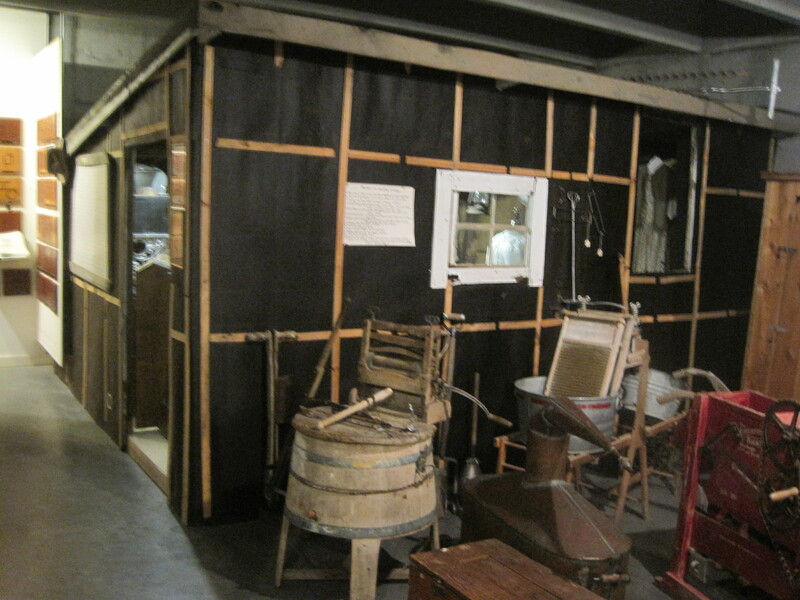 And its history exhibits still followed the model, set earlier by the Montana Historical Society in Helena in the 1970s, of a recreated frontier town, with period rooms, businesses, churches, and homesteading shacks. 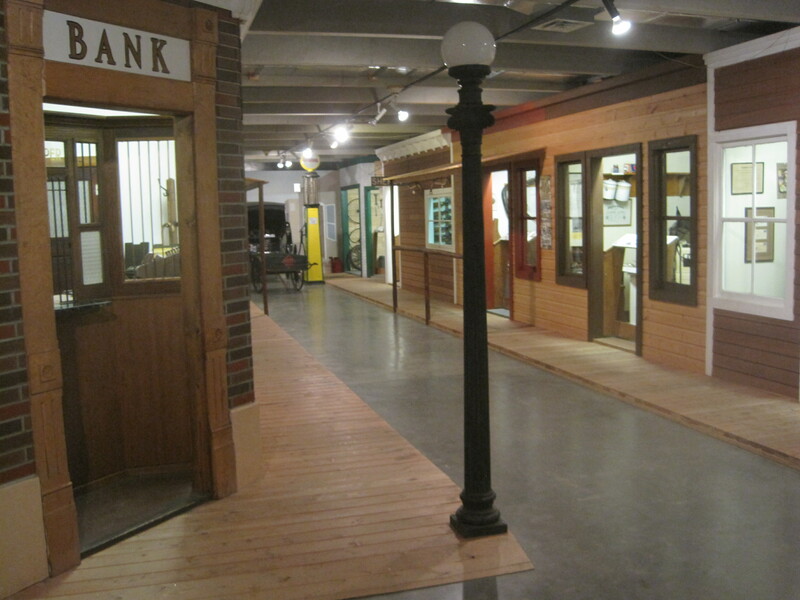 The MonDak Heritage Center was a comfortable step back into time–not only for the persistence of museum interpretation from 30 years ago but also from the realization that despite the rapid change all around them, some in Sidney still retained that earlier sense of self, of ranchers making do and building a community out of the demanding environment of the Lower Yellowstone. Established by the Newlands Reclamation Act of 1902, the U.S. Reclamation Service moved early to transform the northern plains of Montana. 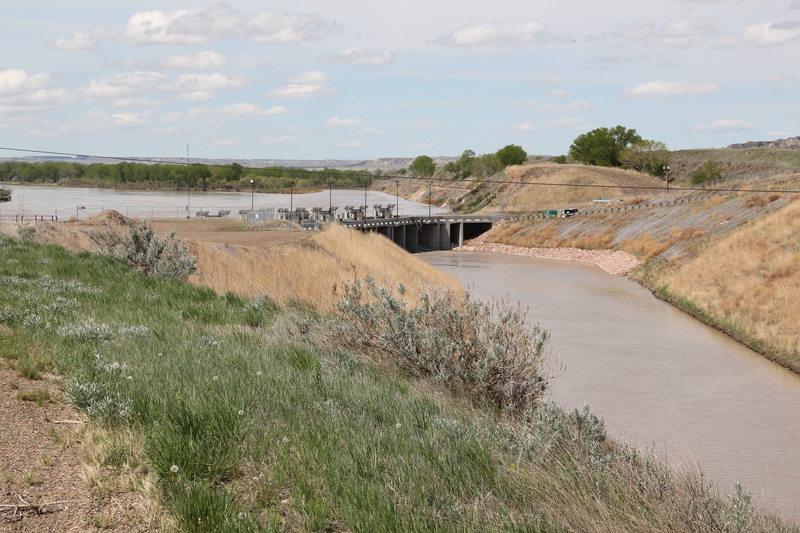 The Lower Yelllowstone Project dates to 1904-1905, and the diversion dam and ditch established at Intake, north of Glendive, the seat of Dawson County, is the best single place to see the engineered landscape of the U.S. Reclamation Service. 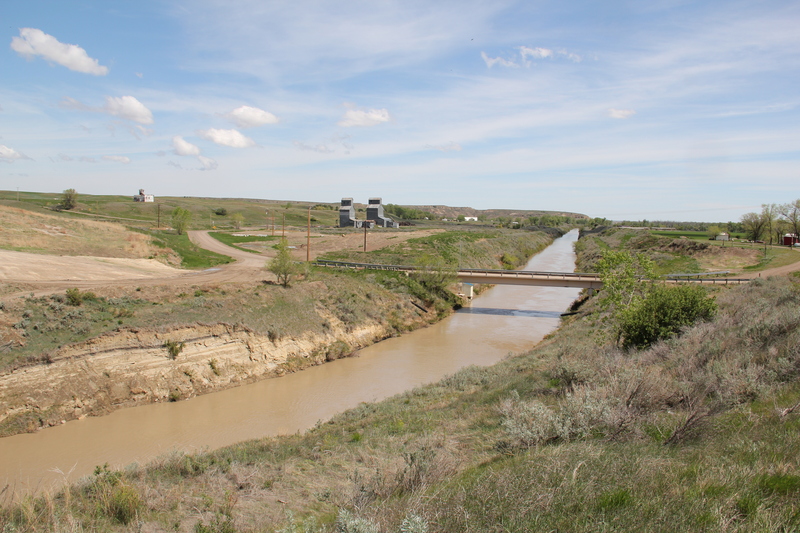 The dam, shown above, diverts water from the Yellowstone River into the big ditch, see below, which in turns waters thousands of acres of ranches in Dawson and Richland counties. 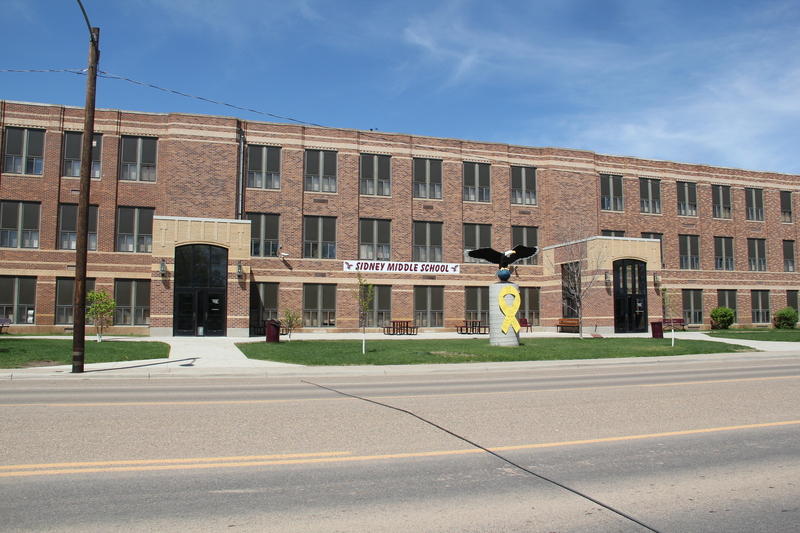 Intake itself was initially a town of promise, as the two historic elevators suggest, but the spur line built from the Northern Pacific Railway at Glendive north to Sidney. 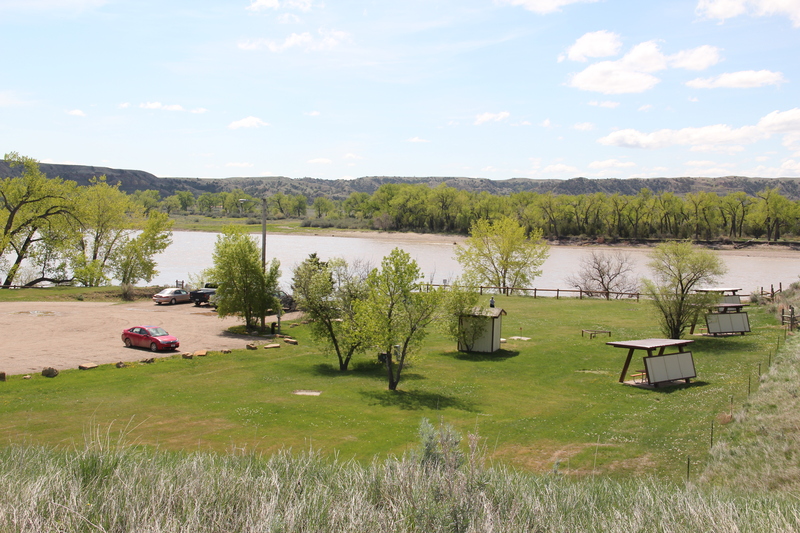 But there is nothing left there now but the recreation area on the Yellowstone River. A much more successful story happened to the north at the town of Savage in Richland County. Here you cannot escape the ditch as it winds through the town. 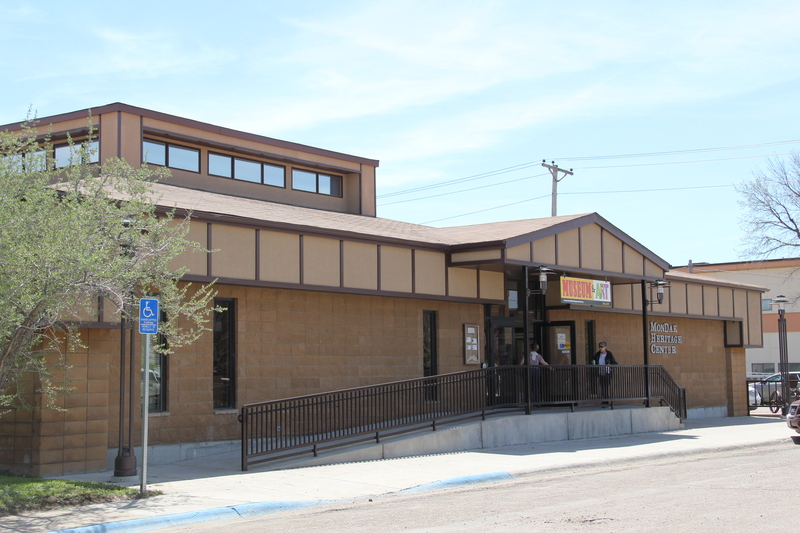 But residents also have established their own local museum about their community and the irrigation project, centered on the historic Breezy Flats school. Savage still has its high school, built by the New Deal in Art Deco style in the late 1930s, and new churches speak to recent growth. 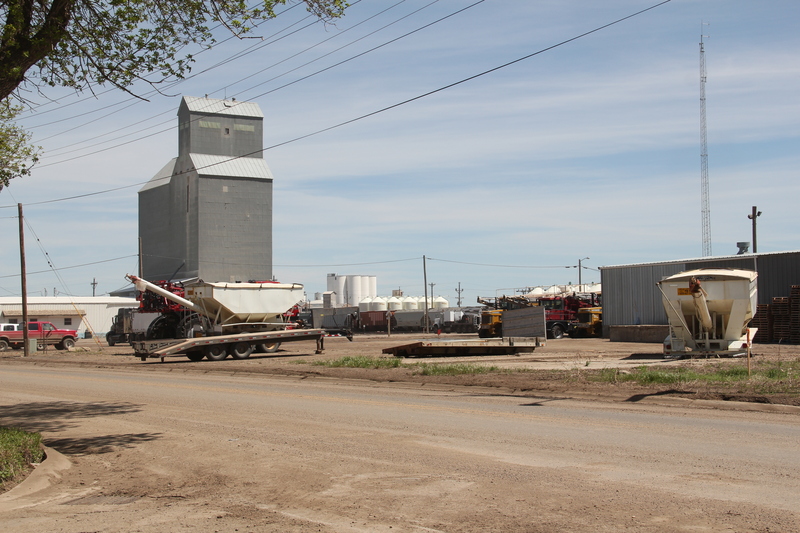 Like other Richland County towns, rapid growth as exploration of the Williston Basin could transform this little town that the railroad and federal irrigation projects built. That time has not arrived here yet–but at Sidney the county seat, the transformation is well underway. That story is next.